Enjoy our new facilities including spacious pull-thrus, concrete patios and private restrooms. 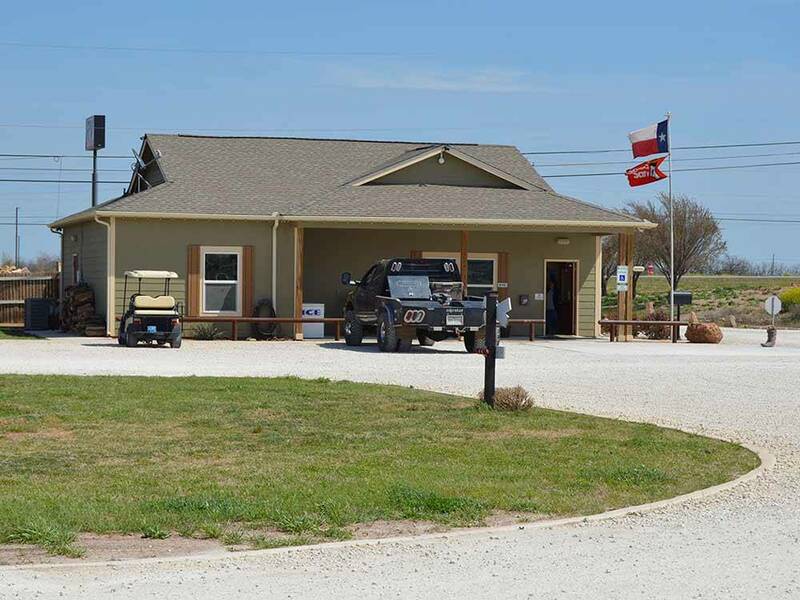 Whistle Stop welcomes big rigs and groups with a fabulous clubhouse and pool. Visit the Abilene Zoo and Frontier Texas. Very nice park. Large sites. Very clean. Friendly folks. Will stay here every time we visit our family in Abilene. Very friendly and accommodating. This is a very nice park. Very clean and easy to get around. We had a nice end spot with concrete pad with table, chairs and grill. Nice pool, horseshoe pits, pickle ball, kids playground, dog park, laundry and showers. Also a meeting room available to rent. You can see they are working on improvements and adding more sites. The permanent residents have very neat and tidy sites. Will definitely stay again if in the area. This is not just an overnight spot, you could easily stay and see the sites. Excellent !!! And brand new !!! Large spaces, WiFi, cable,sewer. Right on I-20. Nice store that sells food, RV stuff, beer, wine, etc. Very friendly staff. Some spots have bbq fits, fire pits, bench swings.....very nice !!! We pulled in off I-20 right into a pull through...then right back on I-20 the next morning. Highly recommend !!! Only just opened, long narrow gravel sites that are level and large grassy areas either side. Picnic tables and concrete patio each site. Swimming pool, small store for grocery needs or rv needs. Large Covered pavilion. On going landscaping improvements. Clean showers and restrooms. Future plans include cabins. They offer horse stalls and corral for those travelers that need them. Close to restaurants, large movie theater plus easy on easy off access to I20. Even though near Freeway the noise level is not as bad as most locations. Staff here is very nice and helpful. They do have a Facebook page that is monitored and updated with area going ons. Highly recommend for overnight or longer stays.